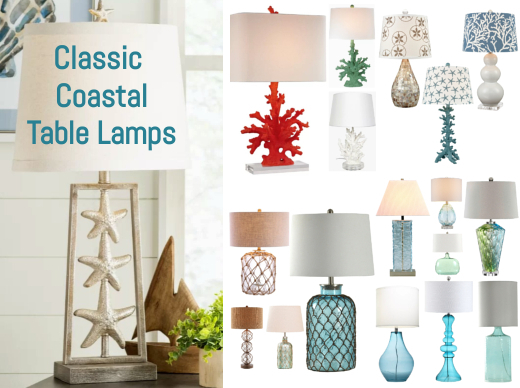 Find the perfect classic coastal theme table lamp. Bringing just the right table lamp to your space is important for both the lighting and overall design of the room. 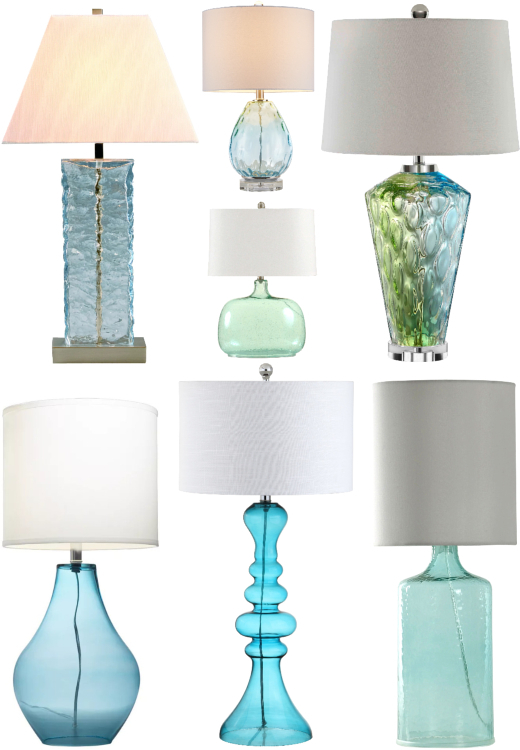 This collection of favorite coastal table lamps showcases a variety classic sea inspired styles with timeless appeal. 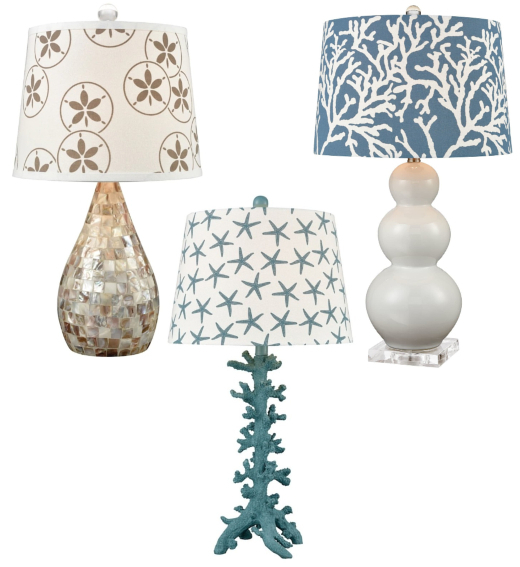 Coastal table lamps with eye catching Coastal Lampshades. A mix between whimsical and elegant, these table lamps make a big visual statement. 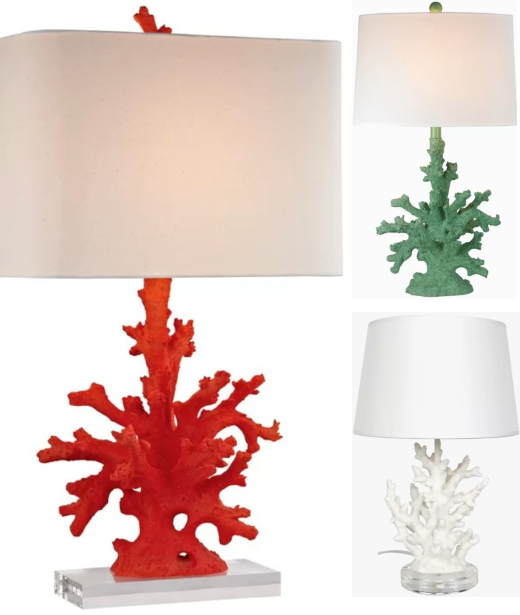 Coral table lamps have a strong sculptural component mimicking species of sea coral. They're sold in different colors. However, white is the most common color. The base of these lamps varies from modern style clear acrylic to dark colored base styles, to no separate base at all. Sculptural table lamps featuring nautilus shells, starfish and urchins. 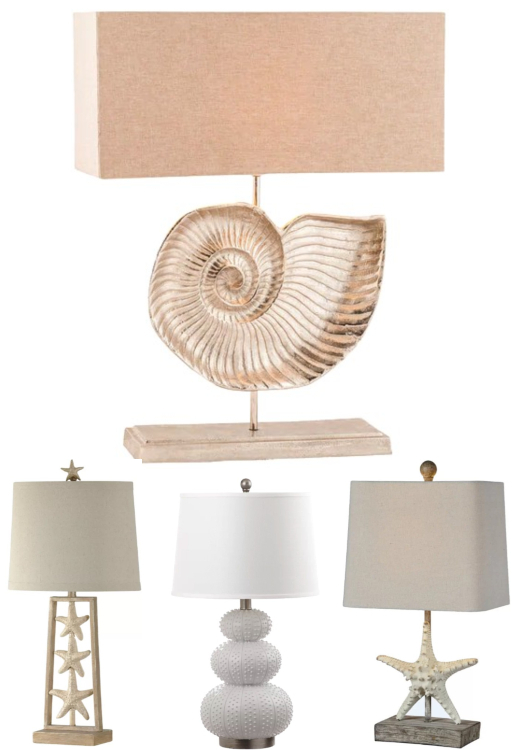 The neutral color palette of these coastal table lamps works nicely with the coastal theme. 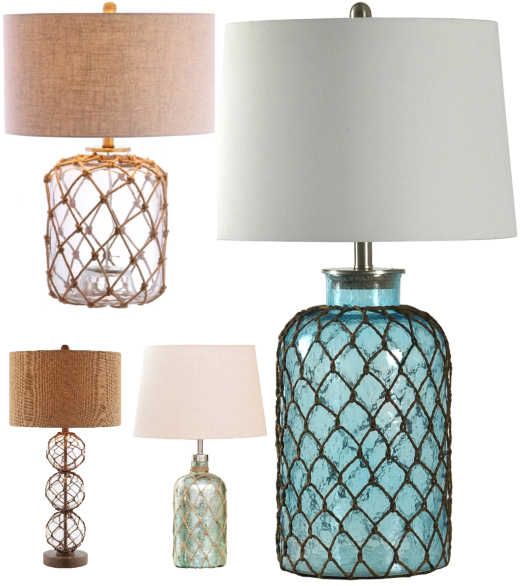 Lamp bases that capture the shimmer of ocean waters. These table lamps look elegant no matter what shape you choose. And the shape and size of the lamp, of course, depends on your lighting needs and overall room design. 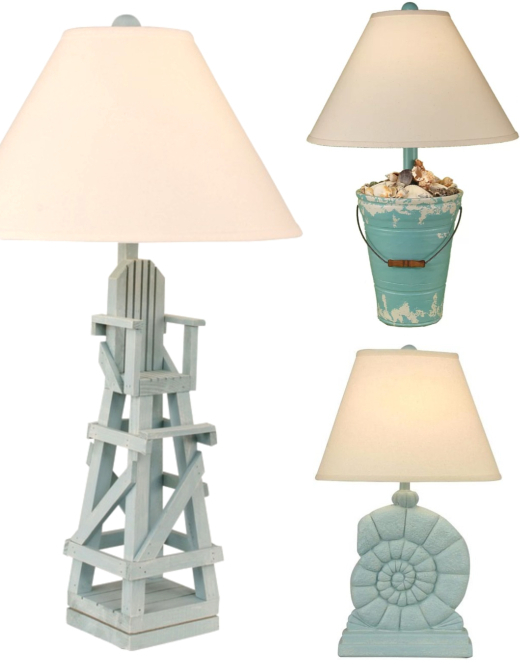 Table lamps with a fun beach vibe. From whimsical lifeguard stands, to beach pale buckets, to table lamps that featured sea life bases and more. If your look is more eclectic and beachy, a table lamp like this might just be the right accent to add to the room. 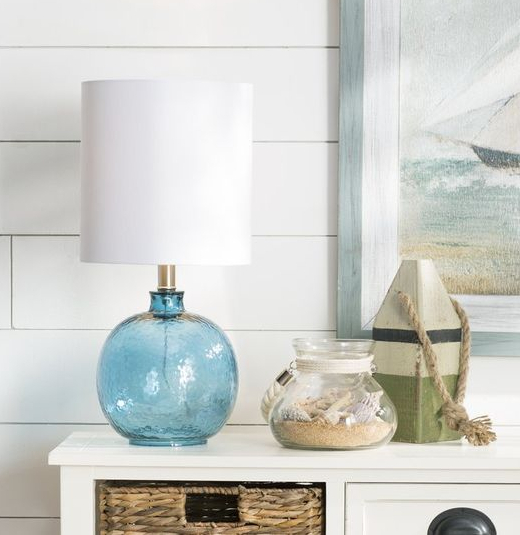 Similar to the sophisticated glass table lamps, these lamps come with a rope net design that tie into the nautical carries a nautical aesthetic with a fish net look. You can see the blue net lamp in this Cottage Living Room.